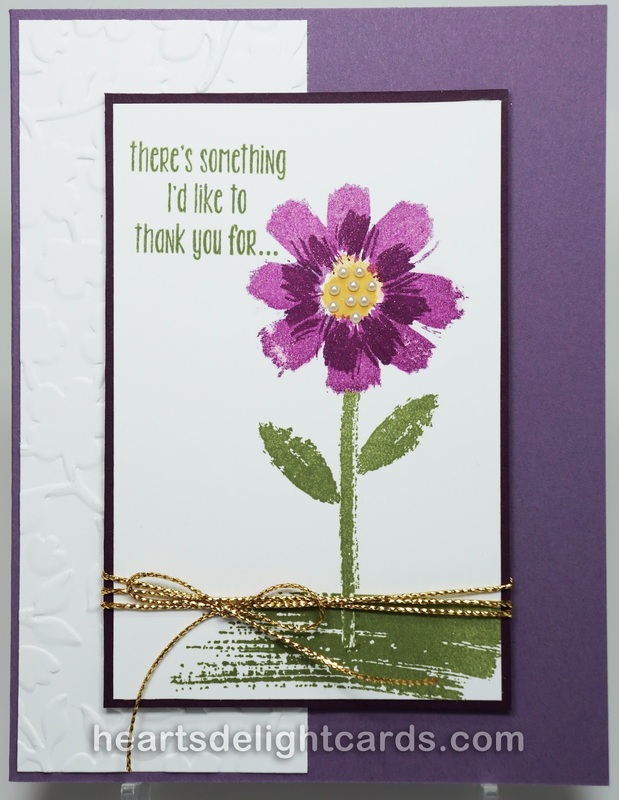 Yet another thank you card sent this week to a stamping friend, one who is more like a sister (you know who you are, Becky)! This one used the bonus free stamp set we received with this month's Paper Pumpkin kit. It's called All About Everything and it's so cute with lots of ways to combine the greetings. If you aren't a Paper Pumpkin subscriber, you missed out! Unfortunately, in my haste to get it in the mail, I forgot to take measurements so I can't give you the "How To." Bad Cindy!